Gas leaks are no laughing matter, and a slow leak can be a very dangerous presence in your home or business. If you suspect a gas leak, don't wait; call Dighton Plumbing and Heating immediately. Dighton Plumbing and Heating is the gas detection expert. 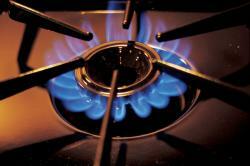 We'll come to your home or business and assess the gas producing systems. Detecting a gas leak is often difficult, that's why Dighton Plumbing and Heating brings the most up to date gas detection systems to every job. If there's a leak present, we'll find it. No matter how subtle the gas leak, our team of gas detection specialists will find it, so you can return to living or working in complete safety.